Can you turn Twitter posts about your brand into valuable business insights? That was the challenge that Waggener Edstrom, one of the world’s largest communications agencies, decided to undertake for several of its clients to demonstrate the agency’s social media skills. 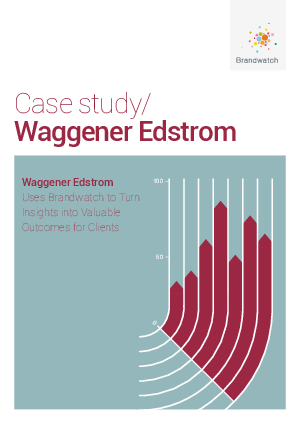 Download this case study to learn how Waggener Edstrom used Brandwatch social monitoring & analytics to capture Twitter-based brand conversations around the 2012 Summer Olympic Games—and turn social conversations into valuable social intelligence.